life, and choose products & gifts that will help make a difference in the world. What's the story behind artsciencespirit? This website is a shopping guide for conscious Canadians, but its roots go much deeper. Artsciencespirit is a quest; a labour of love; a work in progress. It is about the journey each one of us takes in the pursuit of meaning and knowledge in our lives, the attempt to become all we can be, getting to know the higher Self, and relating to others and the world with compassion. It is seeking the balance between body, mind and soul, in order to become whole. ... Steps towards healthier living in a kinder world. 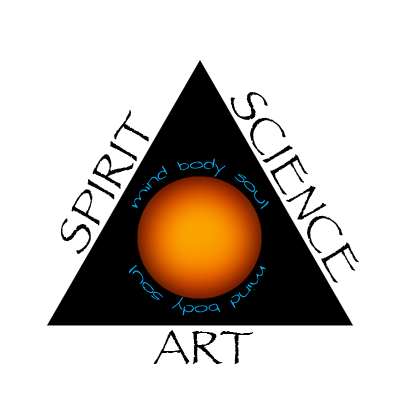 Artsciencespirit.com was born a number of years ago, out of a profound dissatisfaction with my life, and the need to personalize and integrate the theories and philosophies I was reading about in order to somehow rise above the mundane. Stuck in mind-numbing, meaningless jobs in order to survive, I had the constant, nagging feeling that life needed to change and grow. Influenced by writings such as Science of Mind by Ernest Holmes, I was becoming increasingly clear on the need for a balance in life of the various vital forces. Art, Science, Spirit, or Body, Mind and Soul.. you can only neglect yourself for so long. If we lose our balance, life can't stay on course. I made some art on the theme... and I made some difficult decisions. Including some major life changes, I have now spent more than 10 years trying to redesign life as I want to live it, connect with passion and purpose, and do some good in the world. Change can be scary. Life can seem hard. But it is bigger than our individual fears, our self-imposed limitations, our sometimes self-centered views... It can feel overwhelming at times contemplating our enormous responsibility - or not; when broken down into manageable chunks, it can be wonderfully empowering to recognize that we can make a difference in the world by becoming a more conscious consumer and through the seemingly small decisions we make everyday. The other piece of my ongoing journey includes the path towards healing my chronic health conditions, including migraines, body aches & pains, digestive issues, struggles with anxiety and depression, and life-altering fatigue. The road has been long, beginning in my early teenage years (or even earlier, when early childhood trauma and a highly sensitive personality are taken into consideration); looking back now it is easier to recognize the emotional patterns, and corresponding illnesses. Years of painkiller and antibiotic use take a toll - antacids too - and eventually something has to give. For myself this has meant making a switch or two: towards buying organic products; cutting back on sugar, caffeine and meat; going cruelty-free; caring more about the bigger picture and the consequences of our actions. I have explored natural solutions for anxiety, depression, and chronic pain and fatigue; I have taken introductory yoga classes; I intend to develop some form of meditation practice (this time I mean it!). I am interested in methods for opening the chakras and working with vital energies. I am determined to develop higher awareness, overcome my habitual negative thought patterns and change the resulting life patterns I create again and again. At the age of 40, I decided to move home to my family farm after 23 years of living in cities across BC and Alberta. Some of my most recent adventures include the discovery of permaculture, and various attempts at combining its theories with more traditional gardening methods; I sure wish I`d paid more attention back when I had grandparents to learn from! However, it`s better late than never and I enjoyed it all. 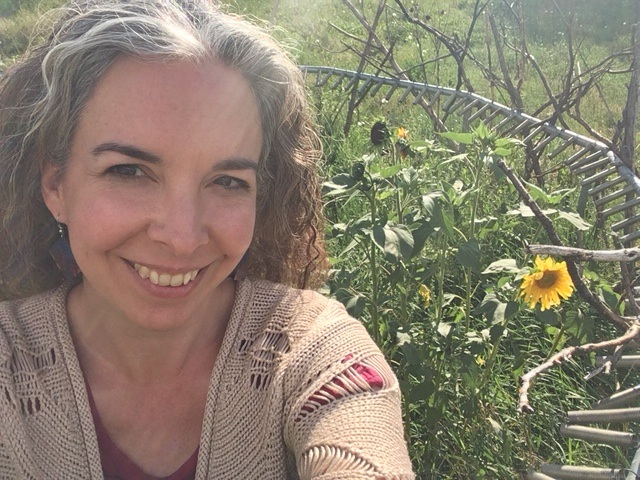 When I created artsciencespirit.com I never imagined that I`d one day be living back on the farm, and it was quite a perfect development (full circle and all) in my commitment to natural, organic, authentic living. As always, due in part to chronic health issues, and my passion for the authentic life, I hope to one day make a living working for myself, and the farm opened up another world of opportunities in that area. The "Return to the Farm" chapter has now ended, as my family has made the difficult decision to sell the farm that had been in our lives for three generations, and it is not without a measure of sadness that I change course once again. However, every challenge brings the opportunity to "practice what I preach" and look for new ways to manifest my authentic life. This website is my attempt to share some of what I've learned along the way about positive thinking, and the exploration of healthier, ethical alternatives in everything from organic skin care to fair trade fashion, natural products to use in our homes, and more satisfying ways to spend our time and money. Being Canadian, I focus on natural and eco-friendly products that are available to Canadians. The good news is: there are LOTS of alternatives available! The website continues to evolve, and has largely turned into what I hope is an inspired online shopping guide for all things natural & organic, fair trade, or otherwise good for the soul, including art. Affiliate Programs: most, though not all, of the products and websites featured on artsciencepirit will earn me a very small commission if you make a purchase after clicking through from my links. However, I choose to promote only those products that I believe fit the theme of my website, many of which I use myself. Unlike some other reviewers, I do not receive any of the products for free. My opinion is not altered in order to make money through my advertisement - if I decide I don't like something, I remove the links. I consider this a viable business, and it is part of my overall effort to support myself doing things I believe in. I thank you very sincerely for your support! If you found this website helpful, we are now very gratefully able to receive donations via Paypal.